Ricky is searching for a ballet dancer and a burlesque comic for his new nightclub revue. Lucy, who once played a petunia in a school rendition of "Dance of the Flowers," wants the ballet job. Enrolling in a dance class run by the strict Madame Lamond, she tries desperately to learn the demanding art. 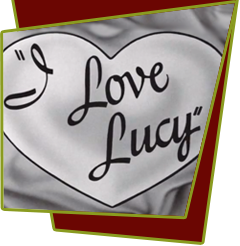 The results are disastrous, and Lucy finally gives up. She next hires a burlesque comic who teaches her the "Slowly I Turn/Martha" bit. When Lucy is summoned to the club to replace a sick performer, she assumes it is the comic, but it is the ballet dancer they need. Lucy arrives in her clown getup and while Ricky sings "Martha", she squirts seltzer water at everyone and pitches a custard pie in Ricky's face. To get even with her, Ricky douses her with a bucket of water when she returns home that night. Special Notes: First mention of Fred's vaudeville partner, Ted Kurtz. Lucille Ball ad-libbed brilliantly when her foot accidentally got caught in the ballet practice bar, although Gregg Oppenheimer says that the foot scene was part of the script. Bloopers: As Lucy is being taught to perform a burlesque act, you can hear a very familiar laugh coming from the audience. The voice belongs to Desi Arnaz, who had a very distinctive laugh, which can also be heard in the last few seconds of the show.